The Waihi Beach Hotel Summer Festival is underway with an emphasis on keeping it real by promoting bands with a feel good vibe. 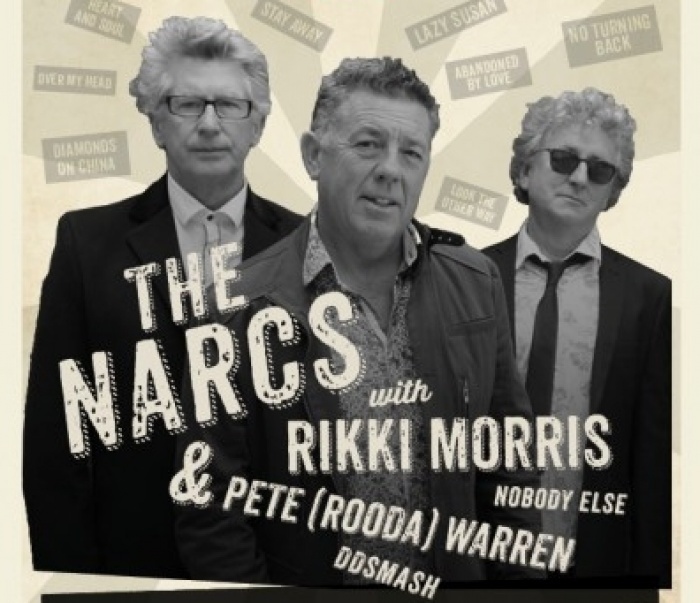 The feel good continues tonight with the Narcs bringing classic eighties kiwi hits to the stage tonight! Brian Gentil spoke to Liam Ryan about the exciting line-up of musicians that will be on stage this evening. It's a who's who of legendary kiwi musicians with singer-songwriter Ricki Morris, Peter (Rooda) Warren (former DD Smash drummer), Liam Ryan, Tony Wayne and Andy Dickson. There is no cover charge for the show, giving locals and holiday makers a chance to catch a some of New Zealand's finest back in action. Click play to hear the interview with Lian Ryan.